We eat for sustenance, but if we eat the right meals we can also feed our souls. 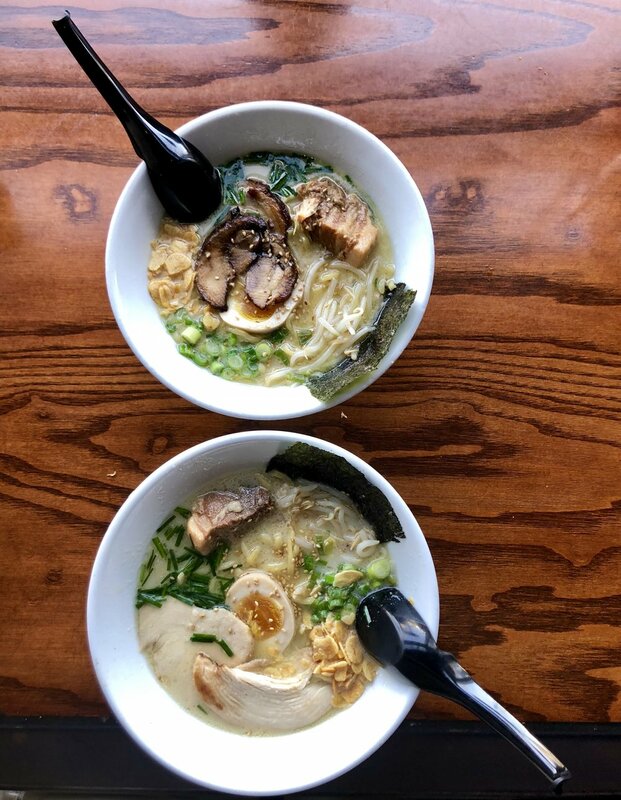 Tajima, nestled in the hipster community of North Park, is the perfect spot to do both. The inside is charming, reflecting a very modern yet inviting feel. For those of you who didn’t know Tajima is actually a neighborhood in Japan, just as North Park is to San Diego. Karaage, also known as Japanese fried chicken, landed on the table and within several minutes was finito! Juicy tender pieces of chicken thigh wonderfully seasoned and fried lightly served with a divine mayo on the side. When it comes to brussels sprouts I require they be served with bacon or drizzled in a tangy balsamic of some sort. However, the waiter strongly suggested I try them so with an open mind I happily obliged. For the record it was the best decision I’ve made so far in 2018. I mean it was love at first bite! Self control was tossed aside as I continued to pop these tempura wrapped veggies in my mouth one after the other. As if things couldn’t get any better the pork gyoza arrives and drives each taste bud insane. Each dumpling had a crispy bottom and stuffed with mouth-watering pork! Now for the grand finale aka the real reason I was here, RAMEN! Known for their best selling vegan and spicy ramen, I opted for the classic Tajima Ramen with chicken chashu. Let’s give this dish a moment of silence...................... Each spoonful more savory and comforting than the last. You feel your body began to warm up slowly. It’s truly one of those meals that leaves your soul feeling nourished and appetite feeling satisfied.